As more and more people are using the Freedom of Information Act, to get sensitive documents about ufo’s, more and more documents are appearing on the internet. Obviously, it is up to us to decide if they are fake or not….. i have tried to go for the most reliable sources for this… I will be updating this link constantly with new information, when it arrives. http://www.majesticdocuments.com it also has links to document sources, some witnesses, documentary authentication for some of the reports and other links. Also http://www.bluebookarchive.org/ which has uncensored microfilm releases, download facility for reports and information about the documents. For UFO Chronology see NICAP at http://www.nicap.org/chrono.htm (from 1800 until 1995) Also within articles, there are some books of the time that can be read online (plus a wealth of other information); recommended. NICAP= National Investigations Committee on Aerial Phenomena. The online books that can be read online free can be found here . A handy link to Area 51 (groom lake), can be found from the FAS (Federation of American Scientists): http://www.fas.org/irp/overhead/groom.htm It goes into detail about the imagery available, an overview of the area, handy links to other sites (some now are not working), and images of Area 51 through the years, near the bottom of the article. It seems to have been written in 2000, but still handy for anyone interested in this topic. Imagery of groom lake can be seen here . In English Pravda.ru there is “KGB’s secret UFO files finally made public” (the link appears to not be working as of 2012-i will endeavour to find another) which is an old source, but one i was not aware of until now (posted december 12th,2005). It mentions the declassification of the Blue Folder…”Researchers believe the Blue Folder is an invaluable source of information” (extract from article). MOD: on UFO documents <–from 2005 for instance Part one. (it frequently changes the website, so links need finding every so often, to keep up to date). Part 2 can be found here and lastly part 3 here (link is not working). Also Unidentified Aerial Phenomenon (UAP) can be found here . Ministry of Defence in 1998 – 2007, has recently been added to their website……please see here . Also, on the MOD site go to the Disclosure Log search, found here and type in ufo or other words such as ufos,ect…. and a list will result in MOD replies and any reports. As of feruary 2008, the page displayed can be seen here (for ufo search from 2005). I will endeavour to keep changing the links, as this site is moved around on a regular basis…please let me know if links are not working…thanks. 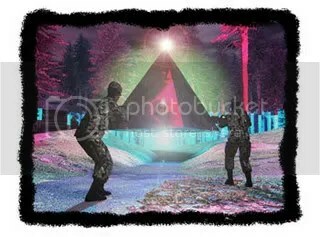 ****With effect from 1 January 2009, UFO matters will be dealt with at HQ Air Command, RAF High Wycombe. The telephone number of the UFO Hotline will change to 01494 496254 for anyone wishing to report a UFO sighting to the Ministry of Defence. This move is the result of an internal re-organisation within the Ministry of Defence and there will be no alteration to our existing policy relating to UFOs. This again was changed…..when it was decided to upload the UK ufo files onto the National Archives website (the most recent files from July see here for link (periods 1965-2008) are still available free as of october 2012, but i cannot see this being so forever-the rest if you have not downloaded, are available, but for a fee. Also go to the NSA/CSS home page and in the public info box (which you need to click to activate) look for the Freedom of Information link and click it; in the search box type in ufo, and you will get a list of ufo documents-most are black marked out, but still worth a look; notice how most are probable balloons, well the bits you can read anyway. For more NSA ufo links please go to aboutfacts.net : more UFO document links from the same site can be found here . Air Force Freedom of information Act (America) – Frequently requested FOIA Documents– Includes the Roswell report, stealth. A more indepth report on the Roswell incident, from the American Air Force can be found from here (also a list- here for Roswell incident). The American Air Force has a declassified section which is interesting Air Force Declassified . Pheonix Lights ( March 13th 1997 ) an excellent report on this can be found on NUFORC.org. For Chicago O’Hare Airport ( November 7th, 2006) See NUFORC REPORT for info and here . Richard Dolan (ufo historian) and jon Hilkevitch (journalist from Chicago Tribune), were both interviewed on the Glenn Beck show (3rd January 2007)…..the transcript can be seen here . Stanton Friedman ” Government UFO Lies ” (An illustrated lecture MUFON 2005). His other articles can be seen here . The Alberta UFO study Group has some good ufo information on its website; including an article on Canada’s UFO History . The International Space Sciences Organisation has”Prosaic Explanations:The failure of UFO Skepticism” by Bruce Maccabee (1999)…. a good read (quite long article). Also by The International Space Sciences Organisation “The science of UFOs:Fact V’s Skepticism” by Richard Hall (1999), “Deceptive UFO Documents:doubt, debate and daunting questions ” foreword by Joe Firmage (1999). 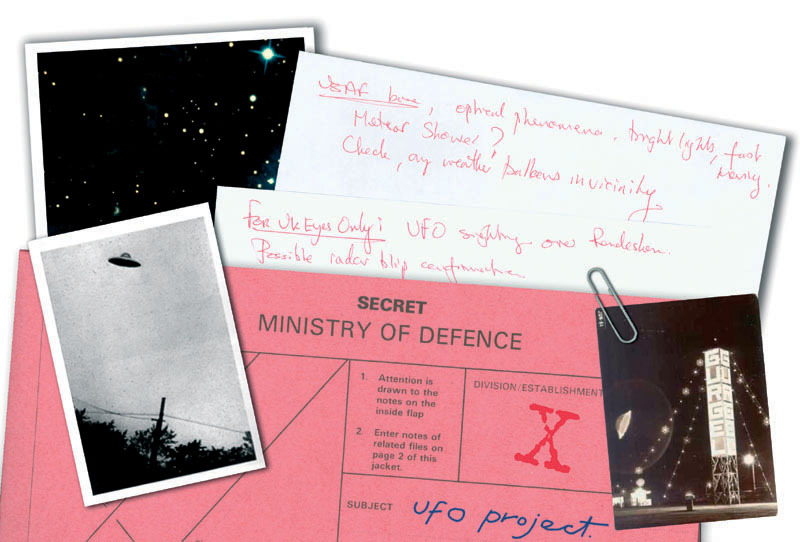 UFO Evidence An indepth website on all things UFO; superb. Also a map of America with recent sightings can be seen here ; should tie in with data from National UFO reprting centre. Used to be live,but now only goes up to Dec. 2010.
ufo’s at about.com with different links and info . Channel Island UFO sighting April 2007 https://dandare.wordpress.com/2008/08/17/channel-island-ufo-sighting-april-2007-large-report-now-available/ This has the detailed Report on this sighting…. plus below links too the event from this site. MORE WILL BE ADDED AT A LATER DATE. Please note all video links are from google video lists, and are subject to change; they have not been added by myself.…. Space Weather Support at Solar Terrestrial Dispatch This has links to an aurora monitor For instance, an hourly activity report here ), astro alerts, global flare reports and so on….. useful to know whats up there. More links to be added…. Great site. Just to introduce myself. Steve Gerrard Chairman/Founder of the Southampton UFO Group since 1990. We have been in existence for 17 years in Southampton and have a large membership, our own colour magazine and much more. We are out there so come and find us. Thank you steve! i will have a look at your site and advise others to do the same…. on a side note, i lived in Winchester for 5 years, in the 1980’s, and have fond memories of the area, including Southampton, which i frequently visited. http://www.uk-ufo.co.uk is a newly formed site whose aim is provide a simple means for logging and reviewing UK UFO sightings on a county by county basis.The site is still in it’s early stages but we hope over time it will become a useful resource to UFO enthusiasts everywhere. Andy your link does not seem to work, although you do have http://www.uk-ufo.co.uk in the link, and i assume this is the site you are referring to; if so i have had a look, and think it is an excellent idea, and wish you all the best. this blog is about my three years close contact’s experience. We recently published an entire magazine issue about UFO topics (UFO) from different perspectives – from humorous stories to UFO facts. Great info and Great Links!! Keep up the good fight.